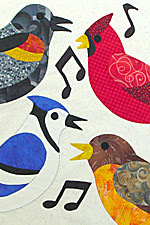 "On the fourth day of Christmas my true love gave to me… four calling birds." Four Calling Birds = the Four Gospels: Matthew, Mark, Luke, and John, which convey the Good News of God reconciling the world in Jesus. PUTTING AWAY CHRISTMAS ALREADY? Still celebrating Christmas? Still basking in the afterglow of the Word (logos) become flesh? As we start to put away Christmas decorations, and as the gifts we have received merge into our wardrobe or take their place in the household to become part of the fabric of living, keep the candle of Christmas glowing. We have received greater gifts. And we are yet to receive more! GREATEST STORY EVER TOLD. Open the gifts for the fourth day of Christmas: the Gospels of Matthew, Mark, Luke, and John. Calling birds, indeed! Good News like no other. It is a story told from four different perspectives that is above all other stories. It is a story--a meta-narrative--in which we can find ourselves and through which we can live our own stories authentically. JUBILEE BEGUN. Pay close attention to the Scripture readings today. Isaiah 61 describes the year of Jubilee, a comprehensive and radical personal and social reordering of life according to God’s reign. Jesus proclaimed Jubilee fulfilled in his coming. Luke 7:21-23 offers confirmation to the followers of John the Baptist that, in fact, Jesus is the Good News for which generations of people had longed. John 20:30-31 makes clear that the Gospel writers did not--could not--capture it all. It also makes clear the intent of the Gospel writing itself: that we may believe and have life through Jesus Christ. WIDENING THE IMPACT. What Christmas implies and promises, the Gospels write large by walking us through the life of Jesus with heart-opening lucidity. The Gospels document and detail evidence that the hopes and fears of all the years were, indeed, met in Jesus Christ. The birth narratives in Matthew and Luke conspicuously hint at the broad, troubling, and grace-bearing impact Jesus would have. And John’s eloquent introduction sets the stage for a story in which "as many as received him, to those who believed on his name, he gave the right to become the children of God." FOUR DISTINCT PERSPECTIVES. The four Gospels make no attempt to reconcile differences in details or to paint a seamless, air-brushed picture of Jesus. Each is written from a different perspective for a different audience at a different time and from a different place. The fact that they are individually so raw and make no pretense at orchestrating events so as to present a united front seems to argue for their authenticity and believability. Though incredibly diverse, the common threads and penetrating message of the Gospels witnesses to something that has forever changed the world. AWAKENING TO WHAT I KNEW. I grew up saturated with stories from the Gospels. It was a gift unappreciated and taken for granted. I didn’t awaken to the radical nature of the Gospel message and its claims upon my life and the community of faith until I was well into my twenties. I am still waking up to this gift, still being converted by the challenging invitation, still being apprehended by the call. I am still realizing this is, indeed, Good News for all humanity, for every person, even for me. THEIR TERMS, NOT MINE. The Gospels are Good News on their own terms, not mine. Only as I let go of my flimsy excuses, shallow attachments, grandiose notions, self-serving interpretations, and less-thancertain certitudes, the Gospel finds me and I find my home in the Gospel. Our own stories are significant when they find their place in the Story. Every person takes his or her place in the Gospels; we must to decide, however, how the Gospels tell our stories. Tomorrow: "Five Gold Rings" - The five books of Torah (the Pentateuch): Genesis, Exodus, Leviticus, Numbers, Deuteronomy.